It's an amazing feeling when all of that stuff you put into a game over a couple weeks suddenly just works. The game is somewhat playable now and I adore it. The towns have living NPCs, the walls are real, dark cave have the shadow effect you see above, lava dungeons have a more transparent red version of that, and the colors are as vibrant as I imagined the game would be back in the concept stage. Finishing this project quickly was a really good call because my love for it is getting stronger as I see it come together so suddenly. Accounting Can Be Interesting If You Imagine Sound Effects When Looking At The Lists And Pretend You Keep the Money. With Enough Immersion, Players Will Forgive/Ignore Ugly Sprites. As Long As The Idea Gets Across. Even If You Really Don't Want To, Test EVERYTHING Before You Go Around Placing Prefabs In Each Scene. It'll Save Hours of Going Back to Change Each Instance. I also finalized all the NPC dialogue. It's a real town now! I ended up combing through all the levels 3 times to fix minor prefab bugs I really should have fully tested in a debug room before copy/pasting everywhere. A mistake I will never make again. In a stroke of genius I was able to avoid having to replace every pit collision box by copying them all at once over each other and editing all the copied pits' scripts to account for Clover's teleportation ending. In human language this means you won't suddenly stop teleporting over gaps and end up walking over them. When you're above a pit, your teleport meter stops filling and you can stay that way until you reach land. Things feel game-like now and once I get the enemies done I can do some nice looking screenshots. I really have been hard on myself lately. Looking at the art style as I run around these maps now, I think it looks pretty good. Especially for a mobile RPG. I'd give this game a try if I came across it. It'd really be something if this game actually gets decently popular. A head-start in funding future games would be great! I might even make enough to pay for a Mac and some iDevices to test on so I can port to iOS sooner. 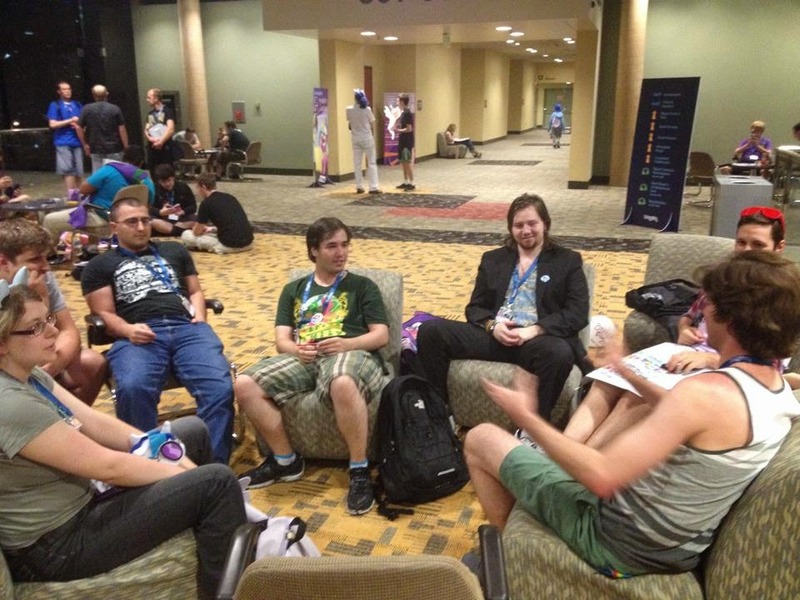 Just chillin' for an hour with some creative cool guys. 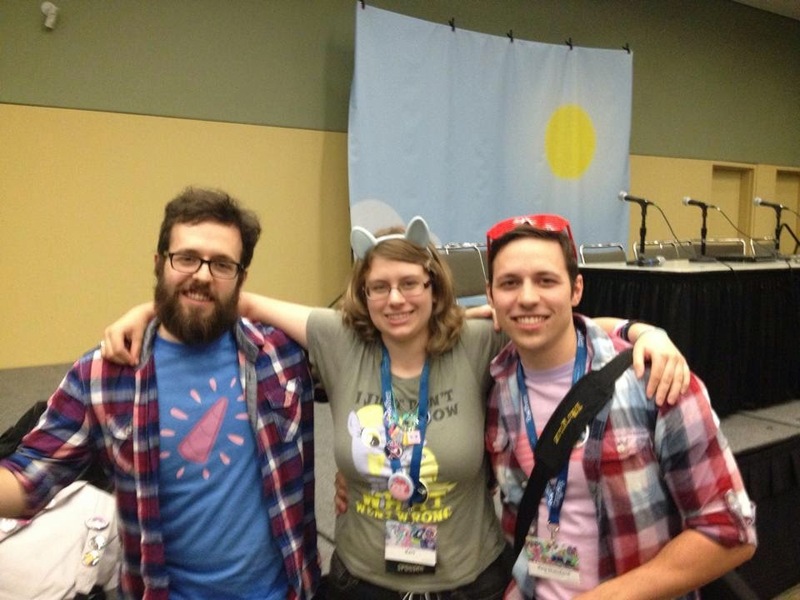 While I was unable to attend BronyCon this year, my girlfriend did and got to hang out with 6 panelists I wish I could meet. 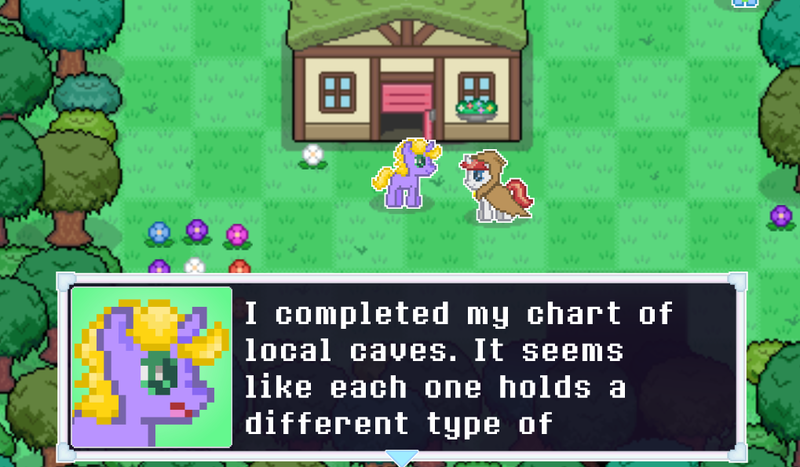 If things go well I just might be presenting something there myself in 2015 since my game will basically be the lovechild of ponies and Pokemon (One of the showcased games this year is Super Smash Ponies). It all depends on how far I can get my Mobile class project by Fall 2015. She made friends with the people who inspire me to push myself further. Seriously though, Unicorn Training is so close to being finished that it has me practically frothing at the mouth. I never made anything this big before and seeing it come alive is so unbelievably cool. I'll get back to work and see what I can do before the 17th. Teachers care not for what games you have to develop.